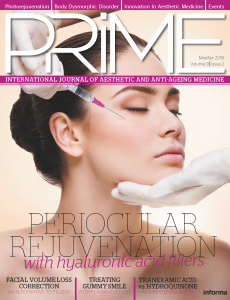 Patrizia A. d’Alessio, Chantal Menut, Jocelyne Lejay, Jean-François Bisson, and Marie C. Béné review the evidence surrounding the use of d-limonene for skin rejuvenation. 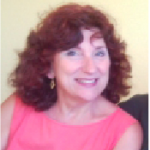 Indeed, even nowadays, the mere mention of ‘essential oils’ has the power to evoke freshness, health, and well-being. These natural compounds have been used for thousands of years but it was Paracelse, in the 15th century, who coined the word ‘quinta essentia’ to designate their active medicinal principles. As the science of chemistry developed, the composition of resins was defined. In the second part of the 19th century, Friedrich August Kekulé von Stradonitz coined the name ‘terpenes’ for the hydrocarbons contained in liquid essential oils (differing from the precipitating camphors). This name was derived from that of turpentine, a widely used compound, derived from pine resins, of characteristic smell, employed both as a solvent and medicine. In the natural world, terpenes are used for protection by plants and even some insects, owing to their antiseptic properties. d-Limonene is a monoterpene present in the peel of oranges. The word ‘limonene’ has roots in the name of lemon, Citrus limon. In fact, there are two chemical forms of limonene (enantiomers), consisting in mirror structures that deviate the light differently. For the most part, lemon peel contains l-limonene, while orange peel contains d-limonene. In this article, the authors review what is known about d-limonene and, more specifically, about its efficacy in skin ailments, diseases or simply to counteract age-related alterations. 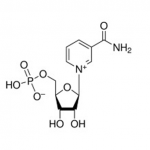 Among natural compounds with wide applications, d-limonene is a well-studied monocyclic monoterpene situated in the chain of biosynthesis of terpenes and obtained by deprotonation of the (4R)-terpinyl cation intermediate1. The major source of d-limonene (enantiomeric excess higher than 98%2) is the oily substance contained in the peel of citrus fruits. However d-limonene is also present in numerous other botanical species such as Carum carvi (caraway oil) or Anethum graveolens (dill oil). d-Limonene represents more than 30% of the caraway oil, where it is accompanied by its oxygenated derivative (+)-carvone (48–65%)3, which has been shown to have anti-cancer activities4. d-Limonene and carvone are both also prominent in oil-based dill extracts, which demonstrate significant anti-inflammatory effects5. The most interesting source of d-limonene remains the cold-pressed oil obtained from the peel of citrus fruits, owing to their superior quality and properties since there is no thermal degradation of the components, as is sometimes observed in essential oils obtained by hydro-distillation. As well as its medical properties, the monoterpene d-limonene is widely used in perfumes, soaps, and foods because of its pleasant fragrance. It is also extensively exploited in the cleaning industry for its strong solvent properties. d-Limonene is listed in the Code of Federal Regulation as GRAS (Generally Recognized As Safe) and precise concentrations are indicated for its usage as a flavoring agent. d-Limonene has been classified at level 3 by the International Cancer Research Center (CIRC), as not classifiable as to its carcinogenicity to humans. In Europe, limonene is authorized in cosmetic products, but has been identified by the SCCS (Scientific Committee on Consumer Safety) as likely to cause allergic reaction and has been included on the list of 26 allergenic substances. Indeed, Schnuch et al6, have reported an extremely low rate of sensitization to 2% d-limonene in a large study performed on 2396 subjects. Only three subjects showed low or mild reaction yielding a rate of 0.1%. The regulation (EC) n°1223/2009 on cosmetic products requires manufacturers to indicate the presence of certain allergenic substances in the list of ingredients if they are present above certain levels, in order to ensure that consumers are adequately informed. The presence of limonene must be mentioned in the list of ingredients on the labelling when its concentration exceeds 0.001% in leave-on the skin products and 0.01% in products that are rinsed off the skin. In fact, pure non-oxidized d-limonene is completely inert and remarkably well tolerated and contact dermatitis may only occur when it is oxidized, becoming then allergenic and irritating7,8. Curiously, in a large study9 (~3000 subjects requiring patch tests for exploration of possible dermatitis) where positive reactions were seen in only 5% of patients, the authors used artificially oxidized d-limonene for 7–11 weeks of agitation, 4 times per day for 1 hour, with 12 hours/day light exposure, conditions seldom experienced by daily used compounds. The patch tests involved 1.2 mg/cm² deposits followed by 48 hour contact by occlusion in Finn chamber on Scanpor tape, something that would not occur outside a study environment. The extensive use of d-limonene contained in cleaning, industrial or household solutions, as well as soaps, cosmetics, drinks, foods, and drugs as mentioned above, has prompted thorough investigations on how they affect the skin due to the observation of occupational allergy to oxidized d-limonene in dermatitis patients10–12. A EU regulation has been issued, allowing up to 20 mMol/L of the oxidized form in such products, an amount only seldom reached. As d-limonene is present in food, daily dietary intake has been estimated to be 0.27 mg/kg body weight/day for a 60 kg individual, which results in 16.2 mg/day. Nonetheless, some populations have been reported to be consuming up to 90 mg/day13. Oral absorption occurs in the gastrointestinal tract in animals and humans and d-limonene is rapidly metabolized to perillic acid (or perillyl alcohol, POH)14. Both d-limonene and POH are excreted, mostly in the urine, within 48 hours. Being an excellent solvent of cholesterol, d-limonene has been used to dissolve cholesterol-containing gallstones15. It also has gastric acid neutralizing effects and supports normal peristalsis used against heartburn (gastro-esophageal reflux disease, GERD)14. Finally, d-limonene has been shown to be chemo-preventive in many types of cancers, particularly of the breast, prostate or colon15–18. In a 2000 study, researchers at the University of Arizona found that people living in the Southwest who consumed lemon peels as part of their diet, but not lemons or lemonade, had a significantly reduced occurrence of skin cancer. The study focused on squamous cell carcinoma and tried to relate its occurrence to the consumption of citrus fruits, juice or peel. Only individuals ingesting citrus peel (almost 35% of the population studied) displayed a significant protection against the development of squamous cell carcinoma19. d-Limonene is known for its capacity for high penetration particularly appreciable in the skin, which is why it is referred to as an ‘enhancer’. The enhancing power of d-limonene allows it to be used as a carrier for other molecules solely unable to cross epithelial barriers20. On its own, d-limonene has been shown to have impressing repair effects on skin and gut epithelia21–22. In general terms, epithelial barriers are major determinants of first line defense in innate immunity, preserving the integrity of environmental interfaces. These barriers include mucosal areas as well as the most exposed skin areas. In the epidermis and dermis, numerous mechanisms are employed for the elimination of pathogens and irritants, while containing inflammation. When these naturally active protections are overwhelmed (i.e. through infections and wounds), a rapid sequence of events aims at restoring integrity. Among terpenes, thymol was recently shown to accelerate wound healing23. d-Limonene, long known to inhibit tumor growth24 via a number of cellular mechanisms25,26 may contribute to this effect owing to its additional capacity of angiogenesis inhibition27. As neoangiogenesis is an inherent component of inflammation, d-limonene anti-inflammatory properties also lie, among other mechanisms, in this capacity. The authors’ group has been involved in thoroughly identifying the beneficial properties of monoterpenes in inflammation control and tissue repair28,29. It was shown that terpenes from essential oils are able to repress the production of tumor necrosis alpha (TNF) and interleukin-6 (IL-6), both being major pro-inflammatory cytokines29–31. As for the effects of d-limonene on the skin, it seems that its metabolite POH is the key molecule helping to restore skin homeostasis and integrity22,32. Preliminary results have been obtained in pilot studies conducted by administering orange peel extract (OPE) in a number of human conditions, from stretch marks (personal communication) to intermediate psoriasis33. 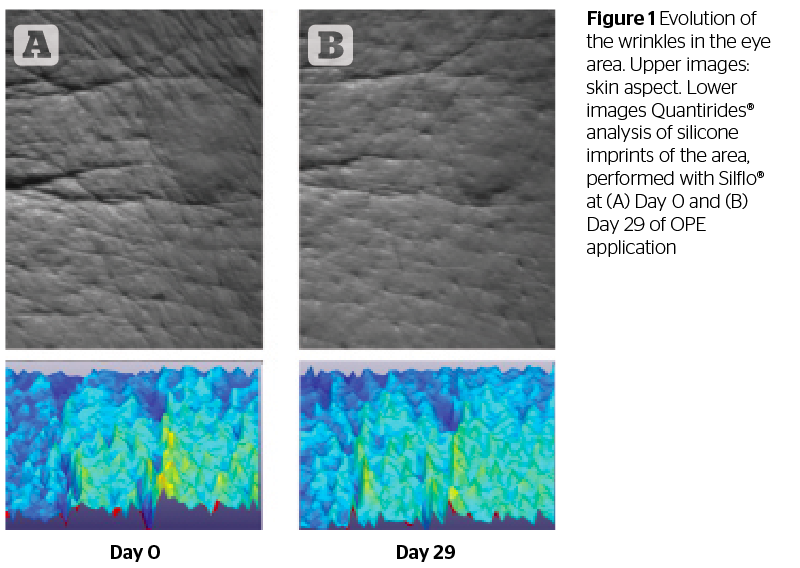 To better understand and sustain these observations, two experimental murine models of skin inflammation and wound healing, respectively, were performed22, demonstrating the efficacy of OPE and POH in repairing and strengthening the skin barrier. The model of TPA (12-O-tetradecanoylphorbol-13-acetate) mediated inflammation is classically used for the investigation of drugs combating immune-mediated chronic inflammatory skin diseases34. In this study, both d-limonene and POH significantly reduced inflammation. This was demonstrated microscopically by the lower cutaneous perivascular infiltration and vascular expression of the adhesion molecule P-selectin. Systemic inflammation measured by peripheral cytokines levels was also significantly decreased. A second mouse model involved wound healing after scarification. Again, both d-limonene and POH proved highly efficient in leading to rapid wound closure. Interestingly, this effect was associated with reduced neoangiogenesis. This surprising effect was confirmed in vitro in a model of endothelial tubules formed by HUVECs (human umbilical vein endothelial cells). Both d-limonene and POH significantly inhibited the organization of endothelial cells in neo-vessels. Clinical evidence of the tissue repair capacities of d-limonene in humans comes from such diseases as psoriasis and skin cancer, characterized by immune dysregulation or impairment35. The preclinical studies mentioned above confirmed the safety and efficacy of d-limonene. Dermatologists at the University La Sapienza, on the basis of AISA’s preclinical models, developed a pilot study in psoriatic patients with mild to moderate lesions35. Topical and/or oral administration of OPE was carried out for 45 days, with pre- and post-therapy scoring of the lesions and quality of life. A highly significant decrease of the VSCAPSI and PASI scores was observed in this pilot cohort. Both patients and clinicians reported subjectively to a satisfactory improvement of the lesions. Finally, quality of life indexes were also significantly improved. Of note, in both rodent models (mouse and rat), the same therapeutic window was effective21,22. Even more interestingly, the same dosage proved efficient when used in both human trials29,34. Moreover, this dosage is ten times smaller than that used as an anti-tumor agent36. The scientific basis to use d-limonene as an anti-cancer nutrient, especially for breast cancer prevention and treatment, is well established in literature37,38. The regulating property of terpenes on the NF-κB signaling pathway, already documented for their anti-inflammatory effects39,40, is also believed to be one of the primary modes of operation for their anti-cancer properties. In fact, many nutrients can interact with the NF-κB signaling system in regulating cell growth, survival and apoptosis41,42. From the known properties of d-limonene, it may be extrapolated that it uses its solvent properties to enter tumor cells and directly alter cell signaling and/or modulate free radical production, thereby favoring apoptosis. Extensive human research on d-limonene and skin cancer is lacking, but some experimental data is, however, encouraging. In 2012, Chaudhary SC et al,43 reported on the positive effect of d-limonene to reduce the tumor burden in a model of DMBA/TPA chemically-induced multistage mouse skin carcinogenesis model. They demonstrated that the effects of the monoterpene involved an increase in apoptosis, inhibition of oxidative stress and Ras-signaling. Besides its medical properties, d-limonene, contained in OPE, has been shown to display remarkable rejuvenating properties28. In a series of studies by the authors, 21 women aged between 53 and 69 years old used OPE for 29 days as a mist. This specific preparation uses, as in the previously reported studies, d-limonene-rich OPE, which also contains minute amounts of a number of other terpenes present in orange peel. It is prepared using the patented Wpe/Ultradrops® (AR2I, Le Plessis Robinson, France) technology, providing a micellar emulsion with a rapid penetration of actives. In this proof-of -concept study, facial wrinkles were assessed with the Quantirides® (Monaderm, Monaco) software by micro-relief analysis of silicone imprints of predefined crow’s foot areas performed with Silflo® (Monaderm). This software analyses four parameters, respectively, the number, length, mean depth and total surface of wrinkles, before and after treatment. Data were finally available from 19 women (2 misused the product), and showed a significant decrease of the number, length and surface of wrinkles (p<0.0005 for all). 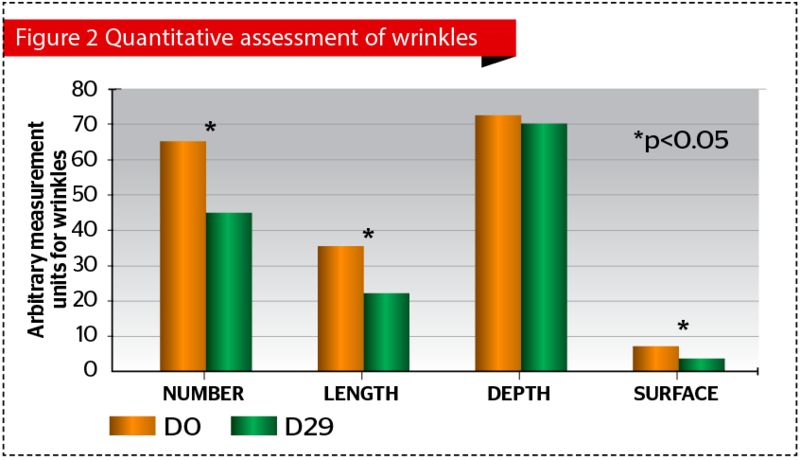 As a whole, 84% of the subjects considered that the treatment had a positive effect on fine wrinkles (Figure 1 and 2). In the same study, the regenerating effect of OPE was also measured. The Quantisquam® (Monaderm) technique was used, which measures the squamae and exfoliation index after stripping a 1 cm² area on the cheekbone. The desquamation index was significantly decreased on day 29 (p<0.0005) as well as the surface of desquamation (p<0.001). These particular results on the desquamation index, although obtained for a healthy population, sustain the notion that d-limonene is efficient in the treatment of psoriasis44. Moreover, firmness, scored on a 4 level scale (from very relaxed to very firm), improved from a mean of 1.74 to 2.14 (p=0.004). The pores aspect was evaluated on a similar scale ranging from 0 (very dilated pores and irregular skin) to 3 (no visible pores; tightened, smooth skin) and improved from 0.98 to 1.29 (p=0.004). Finally, complexion radiance, evaluated from very dull (0) to very radiant (5), improved from 1.95 to 2.29 (p=0.002). In another study performed on 10 healthy volunteers (aged between 42 and 68 years old, mean 59), the hydrating effect of OPE was tested with the Corneometer® CM 825 (Courage & Khazaka Electronics, Köln, Germany). The hydration index was measured on the upper side of the forearms. The corneometric index showed a significant improvement at 2 and 4 hours (p<0.0005 in both cases) on the OPE-treated forearm, while the control site was unchanged (p=0.5). Overall, the improvement of skin hydration on the OPE-treated forearms was 16.6% at 2 hours and 14.1% at 4 hours. The long-standing empirical usage of terpenes of vegetal origin has gained scientific support in recent years. The pleomorphic actions of these natural compounds can find applications in such diverse fields as wound repair, psoriasis treatment, and cancer cure or prevention. On a more daily basis, global skin care and toning can be improved and age-dependent skin sagging and stretch marks prevented. Moreover, the potent activity of d-limonene’s main metabolite, POH, as an anti-inflammatory and anti-angiogenic agent, supports its medical application to such inflammatory conditions as psoriasis or atopic dermatitis. In addition, the more complex composition of OPE, of which d-limonene is the major but not only component, carries the additional properties of providing an enhancer effect facilitating skin penetration and positively influencing the production of dopamine45 thereby acting as an anti-stress product and mood enhancer29,45.